BFF or bestie? However you say it, make sure you celebrate it! 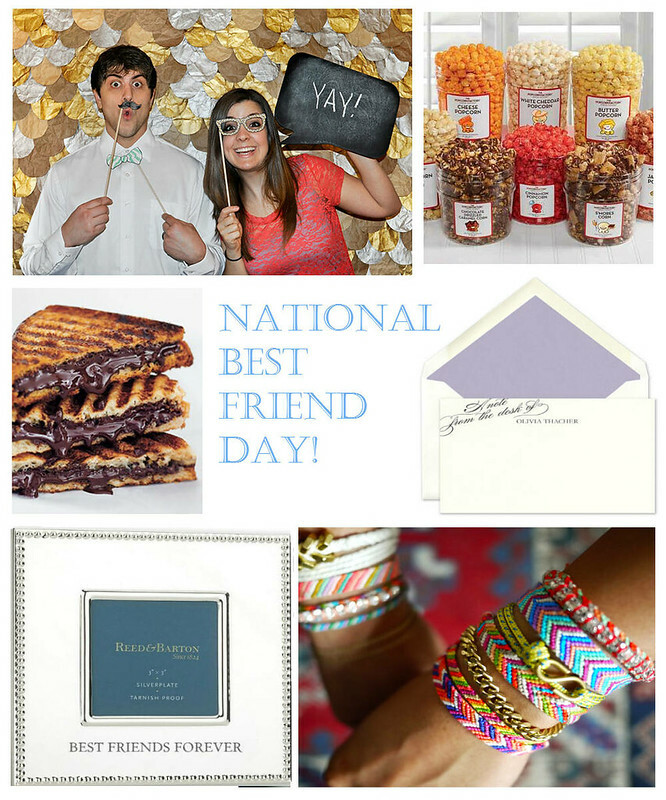 This Saturday, June 8th is National Best Friend Day! Spend time this weekend with friends and do things you all love. Need ideas to get the fun started? We have a few activities in mind to keep you entertained with your best friend or a group. If you are thinking of giving a gift to a friend, FineStationery.com offers hundreds of personalized gifts to show your love and gratitude! So tell us: Who is your best friend? What do you plan on doing with them this weekend?